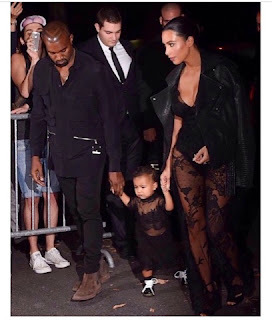 Butterfly LifeStyle | Texas Life Style + Travel Blog: Paris Fashion Week 2014: Kim K-West & Baby "Nori"
Paris Fashion Week 2014: Kim K-West & Baby "Nori"
:-( Today I saw more than a few post bashing Kim K and her outfit choice for Nori as they attended the Paris Fashion Week Givenchy show. Fyi..Paris Fashion Week, similar to the New York Fashion Week is a clothing trade show held semi-annually (spring/summer and autumn/winter) in Paris, France. Anyway, I came across this photo on Twitter and thought "what are they freaking talking about? 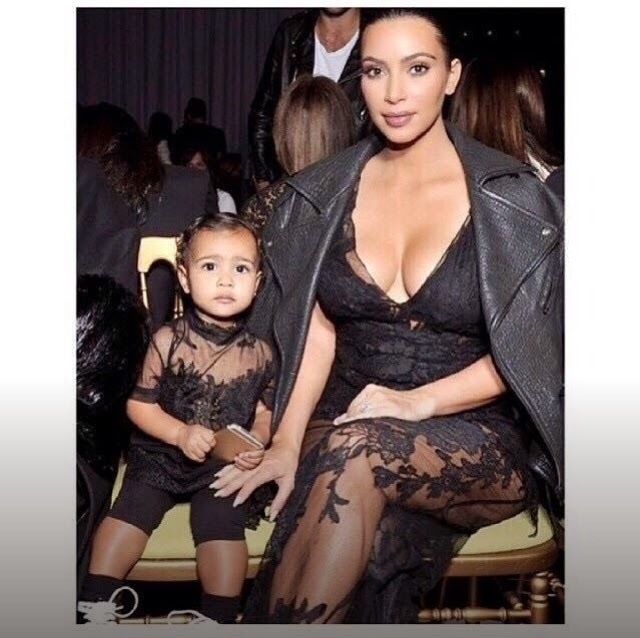 "; I don't think there's anything wrong with baby North's outfit....she looks freaking adorable! I think they both rocked the hell out of their sheer Givenchy ensembles. What say you?